Spinach juice smoothies are growing in popularity and rightfully so. Spinach contains many valuable nutrients that we sometimes tend to skip on. Green leafy vegetables such as spinach pack a punch of vitamins, mineral and antioxidants that our bodies need to maintain healthy skin, muscle and bones. 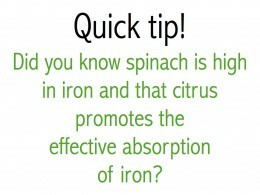 Lets not forget to mention that spinach is rich in iron and is beneficial for maintaining healthy blood. So if you want to find a creative and tasty way to add spinach to your diet a spinach smoothie may be your answer. You will be pleasantly surprised by the taste. I've created a few variations for you. Feel free to share your favorite spinach recipe in the comments below - Cheers! This is the blender version. After adding the ingredients in that order, cover the blender with the lid. Turn on your blender to grate speed. This allows the blades to grate the spinach first. Once the ingredients begin to blend raise the speed to blend speed and then a few seconds on the liquify speed (repeat for a smoother texture). Pour into chilled glasses and garnish with a strawberry or orange ring. Or if you are on the go simply pour into your to go thermos and enjoy your smoothie on the run. Sweetness - This tastes great and you'll notice I did not add any sweetener. Out of four taste tests only one tester thought it should be a tad sweeter. A dribble of honey should do the trick. 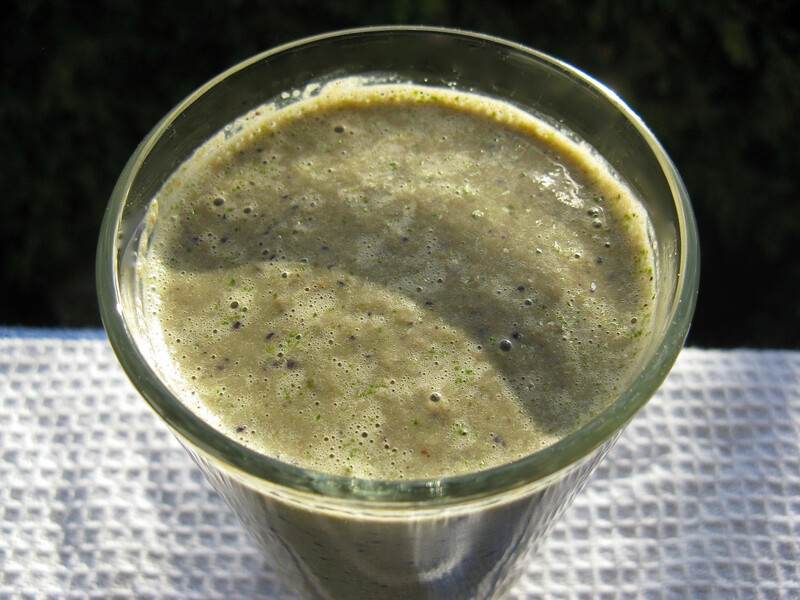 Texture - The blender version of this smoothie does not completely emulsify the spinach leaf. If texture is an issue you may want to consider the juicer version below. Color - This smoothie is a deep bluish purple. You will see hints of color from the spinach leaf, strawberry seeds and blueberry skins. This will produce approximately one cup of nutritious juice. 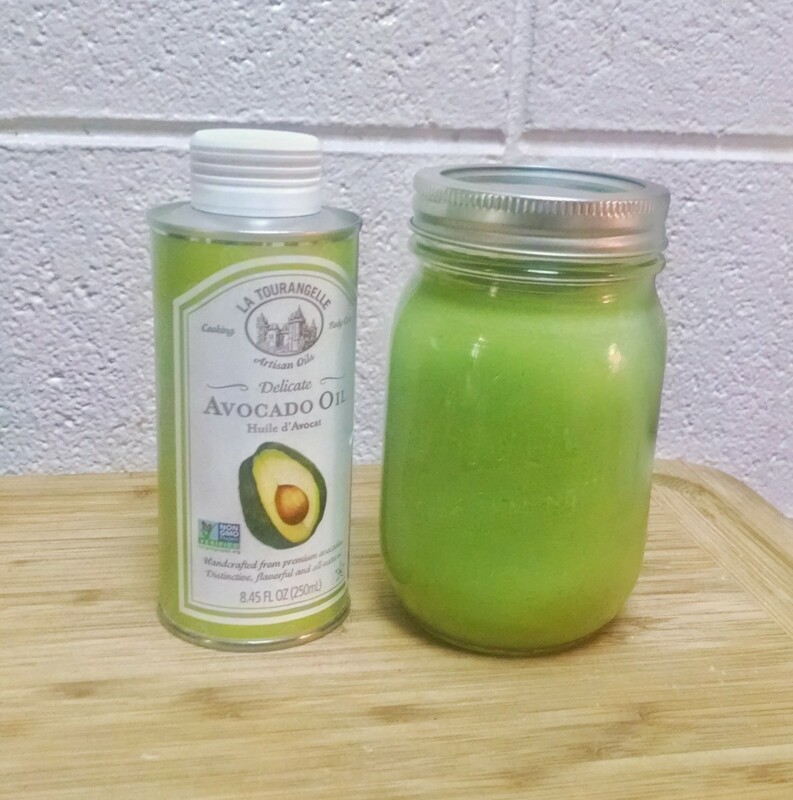 This juice tastes great as is or you can continue and add it to a blender with a few more ingredients for a yummy smoothie. Add the carrot, apple, and spinach juice into your blender. Both smoothies were a hit between my four taste testers. Three preferred the first smoothie variation over the second. 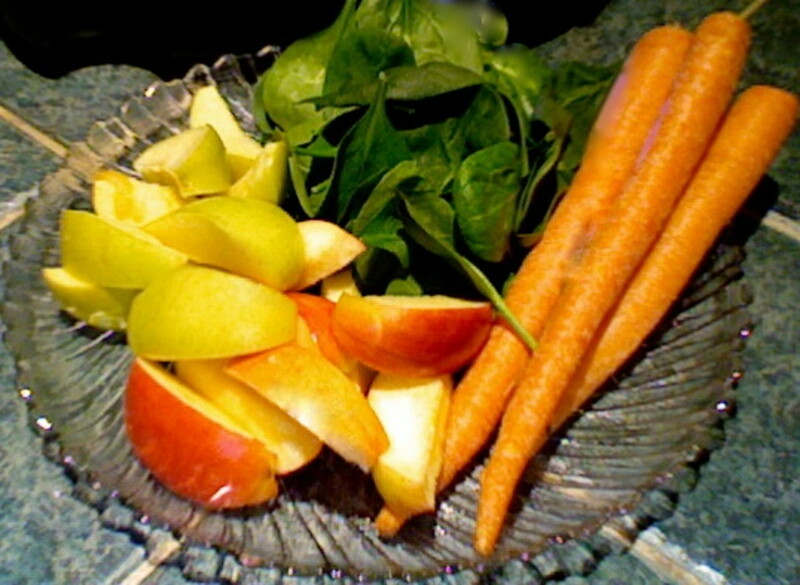 The carrot and apple do add a distinct flavor to the second recipe. As for me? I liked both! For those of you that are juicers the spinach, carrot and apple juice does not even taste like it has spinach in it at all. It just tastes like your standard carrot and apple juice made from a juicer. The great thing about juicing and smoothies is that the variations are endless. So grab a handful of spinach and give it a try. You'll be surprised by the amazing flavors you come up with. Enjoy! Voted up and useful again. I'm really into these smoothies lately. I love spinach based smoothies, too. Voted up and awesome. I love spinach based smoothies. Great Hub, thumbs up !! Great ideas for healthy smoothies. Making your own, with these recipes, would beat the artificial ingredients, sugar and salt laden varieties sold in stores. Thumbs up and sharing. Great hub. I love green smoothies. I don't mind the bits, so I just do a blender version. I like the addition of the tea. I'll have to try that. Voted up! Funny, I just made a spinach smoothie yesterday with a recipe passed on to me. It was amazingly good. I think the spinach gives it a unique flavor and texture. I loved it and am eager to try yours. Voted up and others. Awesome hub! Yummy, beautiful recipe. Can't wait to try it! Thanks! rbm, Thank you so much for stopping by to read and leave a lovely comment. Aren't vegetable juices great? I hope you give this smoothie a try. Thanks again. Thanks for writing this article, I have to try those! I'm a big fan of home-made veggie juices already, and am looking for a way to make them a bit tastier. Your smoothie recipes sound really delicious! This sounds wonderful. 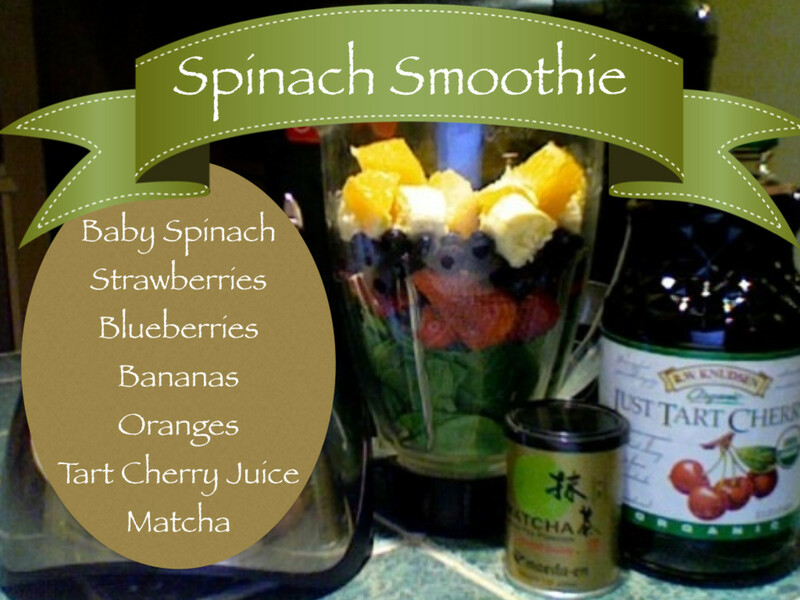 Spinach is such a healthy source of nutrients and making a smoothie is truly interesting. Great way to get the iron and vitamins into children and grown ups alike. Thanks for sharing! Voted up. vespawoolf - Hi! Thank you. Your variation sounds wonderful. I just bought a bag of frozen chopped mangoes for my smoothies and snacks. I'll be sure to try it with papaya and almonds too. 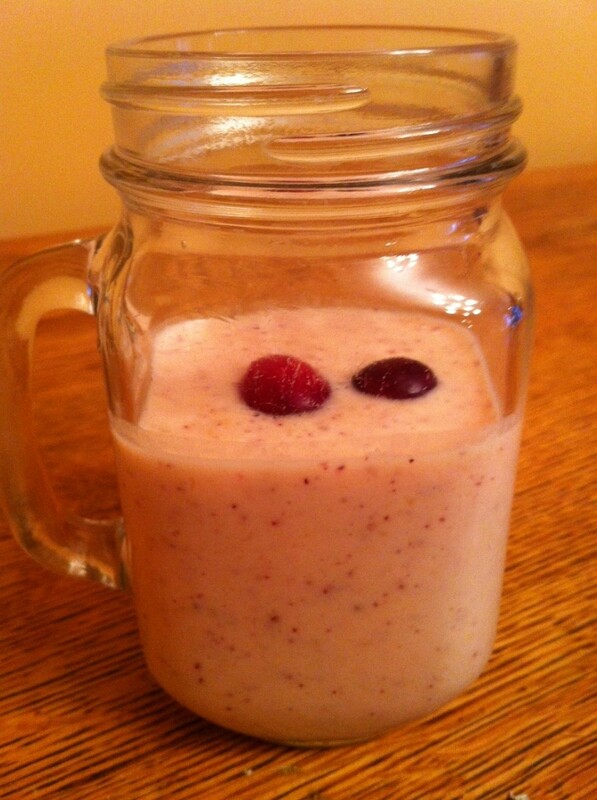 Smoothie #1 is fabulous! I would have never thought of putting these ingredients together. We don't have blueberries or cherry juice here in Peru, so I substituted papaya juice and mangoes. I soaked almonds overnight and made the almond milk in the blender, then added the remaining ingredients for the smoothie. Next I'm going to try the other recipe. My husband doesn't like spinach so this is a great way to add greens to our diet. Thank you so much! Voted up and everything across the board except funny. Taalib Pugh1 - Thank you very much. I'm happy to hear this was informative. Welcome to HubPages! Very good hub very informative. Thanks. I will be following you and the food lol, God willing. I have never had a spinach smoothie drink before, the recipe on this page sounds and looks very good. I already have most of the ingredients in my kitchen so I think I will be giving this a try very soon. Voted up and useful. I love spinach and I love smoothies! I have to try these recipes out. I have bookmarked it. Your fantastic and very color pictures are great! Just beautiful. Voted up, useful and sharing. I love spinach, all by itself, with a little bit of cider vinegar on it. Of course, I stand alone in that in my family. :) Now I have an alternative that the rest may be willing to try. Thanks, Missolive! I'm glad you came by to read and comment. I hope your daughter is inspired to give spinach smoothies a try. zzron - give it a try. Variations are easy if this one isn't to your liking. Different fruits can make a difference. Thank you for reading and commenting. Debby Bruck - Yes, I was very blessed to have an interview by Vinaya. He is a wonderful hubber, friend and supporter. Thank you for that. Also, this smoothie is delicious - glad you are inspired to try it. Very interesting hub on making healthy smoothies adding spinach. Something really new for me....I will try it...voted up...well presented as well! This sounds very interesting I will have to try it. 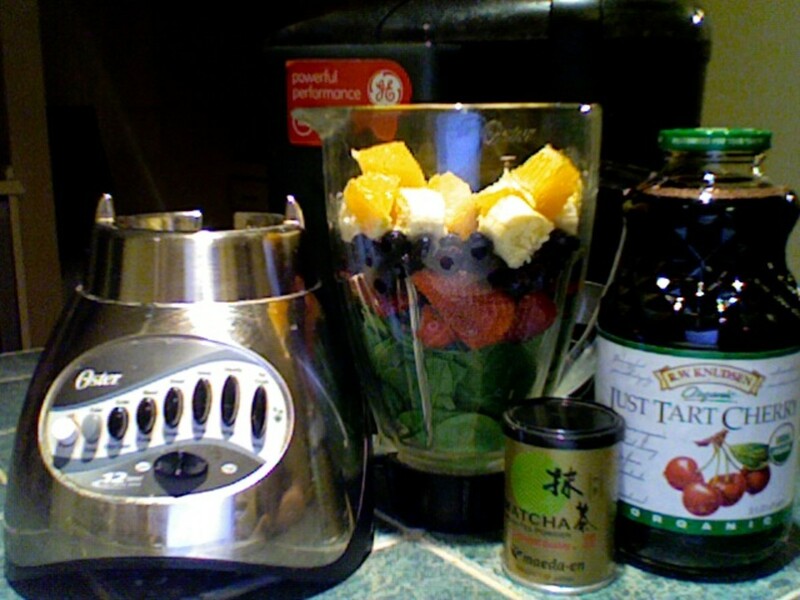 thoughtforce - Hi Tina, these smoothies are a great way to start the day. I always feel so much better when I do. The fun and tasty par of making smoothies is you can vary the fruit if you are seeking a different taste. I'm happy to hear your daughter enjoys making spinach smoothies. Thank you for reading and for your great comment. PegCole17 - Hi there! The approaching spring season always has me feeling motivated to stay healthy. These smoothies will keep us cool while pumping us up with nutrients after all those Holiday and resolution wavering treats. Glad to share - thanks for stopping by. Perfect timing for these delightful recipes. I can't wait to try them out. 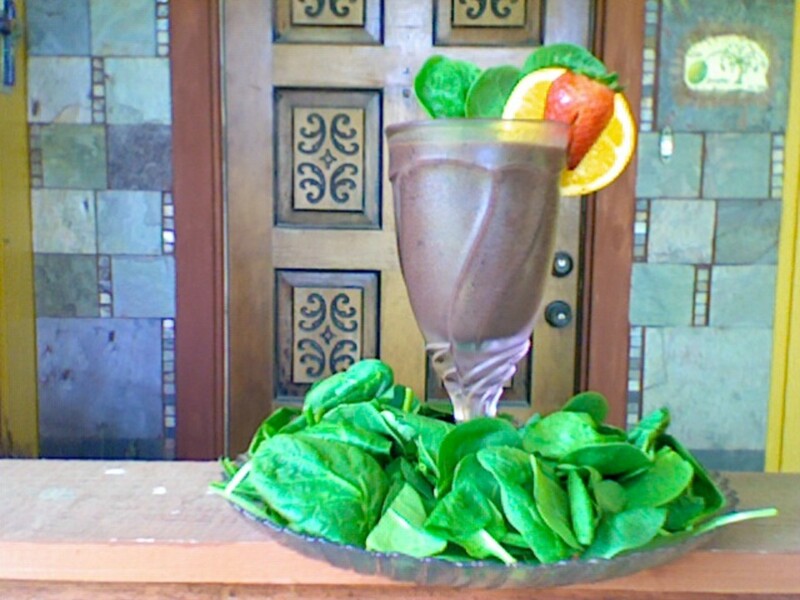 Thank you so much for sharing these great spinach smoothie recipes. 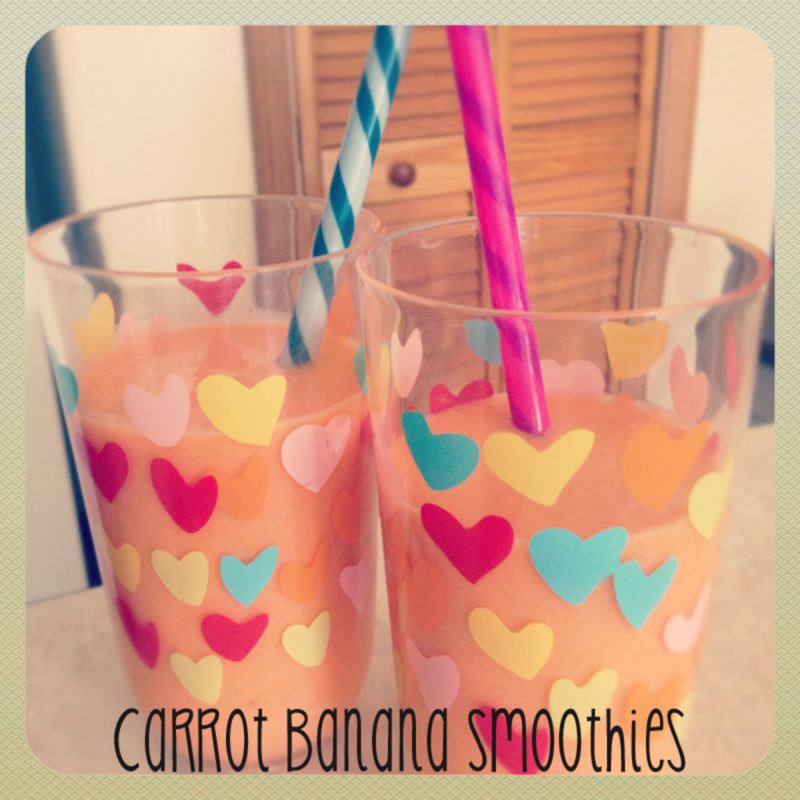 Hi Miss Olive, thank you for these smoothie ideas, I think they are both great! I've linked your hub to my "easy tips for adding fruit and vegetables to your diet" hub. These recipes sounds so healthy and look tasty too! I will show this to my daughter who make smoothies with spinach every morning using the same recipe. We all need some variation now and then and she will be so glad for these new recipes. I will also try them, sounds like a great way to start the day! Thanks for sharing! This hub is so well designed, beautiful! barbergirl28 - Hi Stacy! I am so glad you came by. I love your Shrek Smoothie variation and I've already included it in this hub with the cute pic of the girls. I prefer the frozen fruits as well. It helps keep the smoothie icy and cold. Thanks for the link, comment and for stopping by. You ROCK! 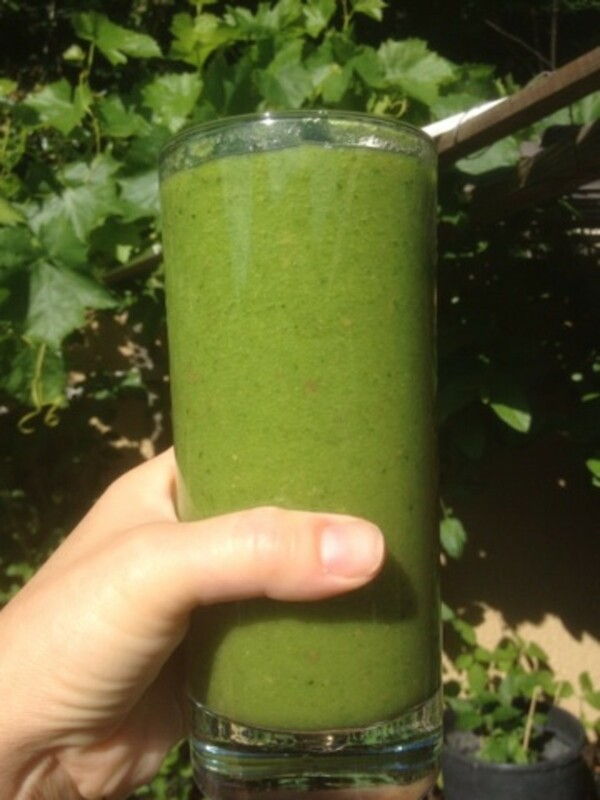 I love adding spinach to my smoothies... as you said it is a great way to get it into your diet! I have a recipe like this that I call the Shrek Smoothie. With the exception of the spinach, the fruit is pretty much all frozen so it is easy to keep the ingredients on hand. When I saw "Spinach" in a smoothie, I wasn't sure it would be for me, but I love the way you've added a combination of fruits and almond milk to the smoothie. I'm sure it gives the drink a flavorful and sweet/tart taste that is very pleasant. Voted up and shared! Despunetfish - Let me know how you like it. Thank you for reading, commenting, voting and sharing. You Rock! cloverleaffarm - oh I am so glad you are inspired. Thank you for your votes and for sharing. I greatly appreciate it. Just Ask Susan - Tart cherry juice is so good for you. 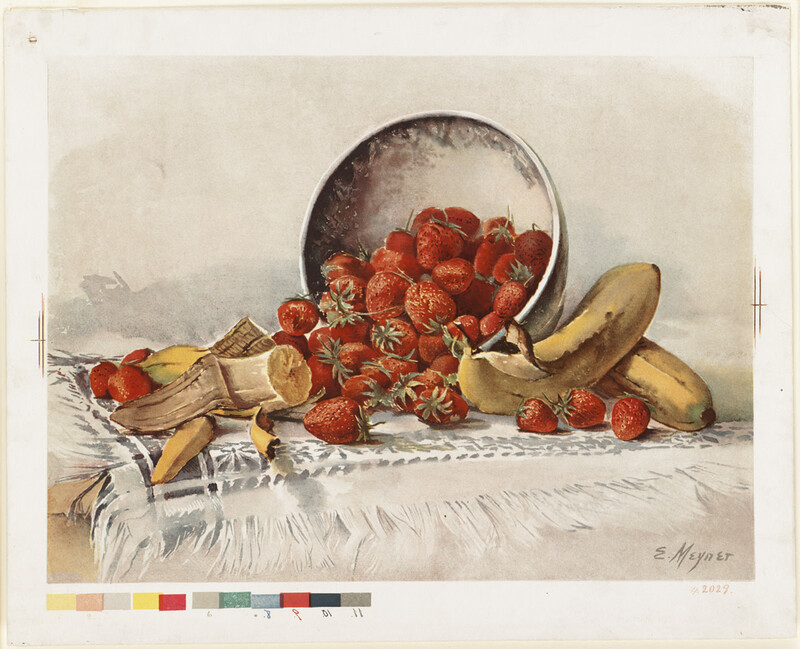 It adds just the right touch with the other fruits. I'm barely starting to try almond milk. My daughter prefers it over dairy. It does have its benefits. I still like both though. Thank you for reading and commenting. Both of these look delicious. I like the fact that the first one has cherry juice in it. I've not seen almond milk but will have a look for it. Oh, my. I can't wait to try some of these recipes. I love smoothies! vote up! and shared too. jeyaramd - I love all the different ways you incorporate spinach into your diet Thank you for reading and leaving such a lovely comment. Victoria Lynn - I'm glad you liked the pictures. Thank you for reading and commenting. I appreciate it. homesteadbound - the vitamixer sounds perfect for making smoothies. I'm happy to hear you liked the pictures. I'm always glad to spot you on my hubs. theclevercat - yay! Another tart cherry juice fan! It does add a nice sweet and tart flavor that bounces off the orange nicely. 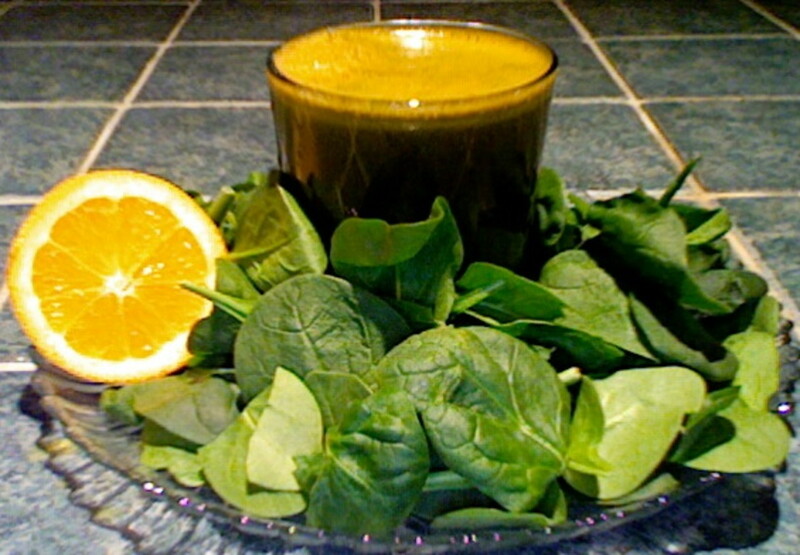 This is a great followup for your hub on the health benefits of juicing spinach. We have a vitamixer which does a great job of liquifying anything. Will have to try one of your variations. Your pictures are wonderful and add so much to your hub. I love spinach! What creative ways to use it! Your pictures are great, too. They're so bright and vibrant. Useful, lovely hub! Spinach definitely has many benefits. I enjoy spinach in my salads and sandwiches. Spinach pannini is one of my favorites along with spinach with lasagna. Spinach is perfect with salads as well. 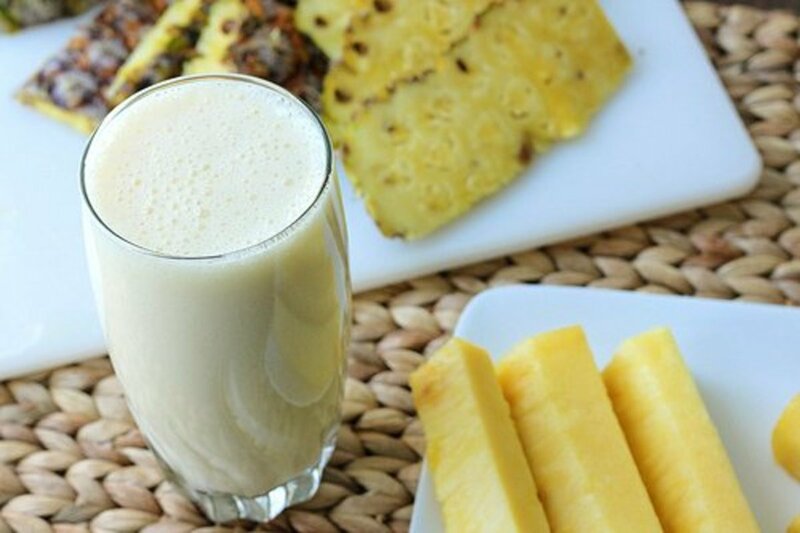 These smoothie recipes would be a perfect addition to my love for all things healthy. Thanks for sharing another awesome hub. Voted up.